William Floyd Elementary School recently held HERO Week - Helping Everyone Respect Others - as a character education exercise to coincide with Veterans Day. Shirley, NY - December 5, 2013 - William Floyd Elementary School students in conjunction with Brighter Tomorrows, an organization that advocates for victims of domestic violence, recently participated in HERO Week (Helping Everyone Respect Others) as a character education exercise to coincide with the celebration of Veterans Day. 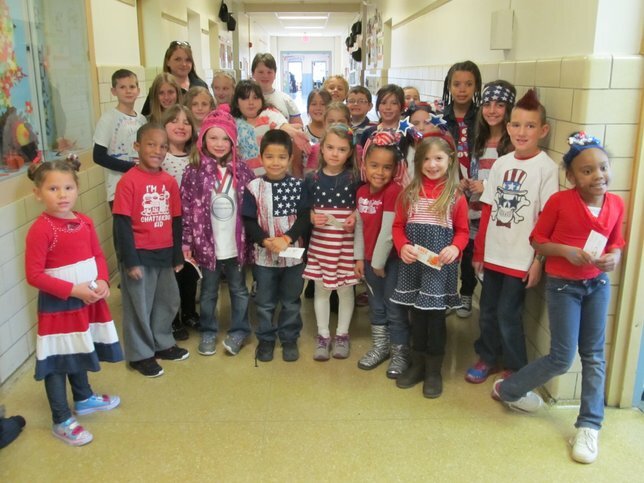 Pictured: William Floyd Elementary School students participated in “Stars and Stripes” Day during HERO week. The 2013 Ultimate Summer Guide, Weekend Festivals, News & More in This Week's Newsletter! Subject: LongIsland.com - Your Name sent you Article details of "William Floyd Elementary School Holds HERO Week"